Casey Bergquist, Inc. wire line card. 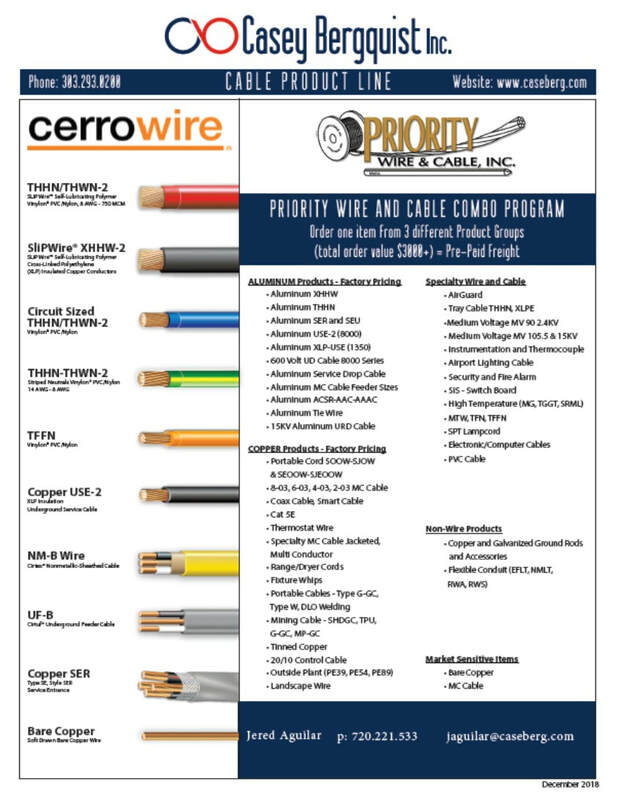 We sell Cerrowire and Priority Wire to contractors and distributors. - Casey Bergquist, Inc.